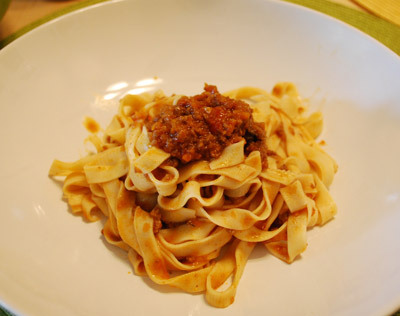 Looking for sauces for tagliatelle? 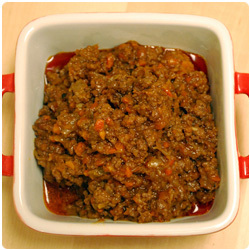 Try it with ragu and with mushrooms sauce! 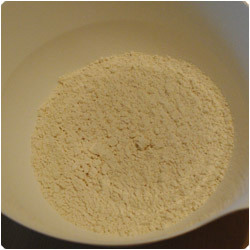 In a bowl put 500g of flour. 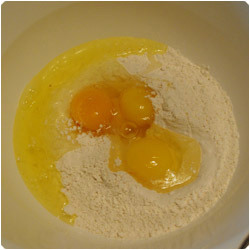 In the center put 3 eggs and a pinch of salt. 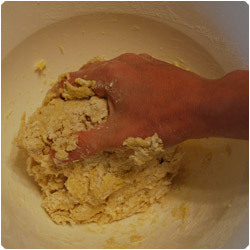 Start mixing everything with a fork from the center. 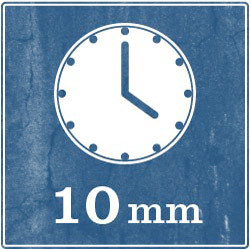 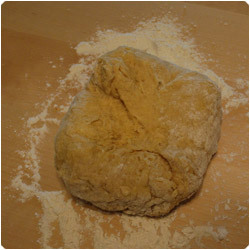 Once it starts to get together use your hands and, placing it on a flat surface with more flour, mix it for 10 min. 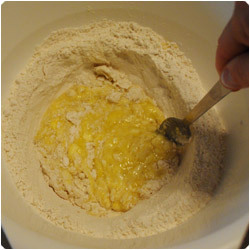 If the dough is too dry you can add either some spoons of water or eventually one egg more. 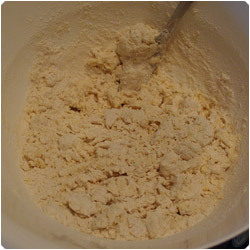 If the dough is too wet add carefully more flour. 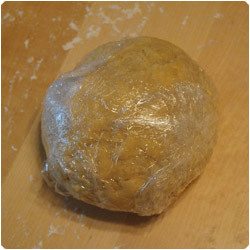 When the dough is homogenous form a ball and wrap it. 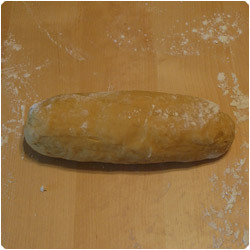 Leave it rest for an hour at room temperature. 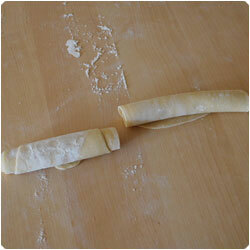 Place the dough on your table and cut a small piece. 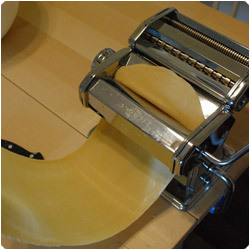 If you have a pasta machine: roll a piece of dough in the pasta machine until you make it thin. 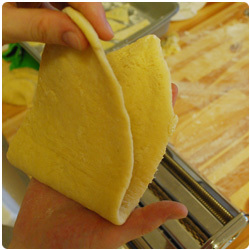 Roll the dough twice for each thickness to make the sheet smoother, for the first 2 sizes you can also fold the sheet once and roll it again. 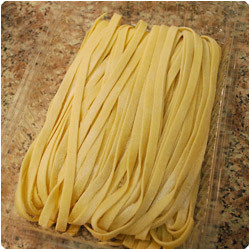 You can make the tagliatelle as thin as you like, just remember that thinner tagliatelle will need less time to cook, thicker tagliatelle will need more time to cook. 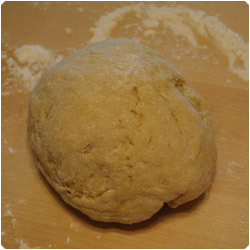 Once you have the deside thickness sprinkle some flour on the dough sheet. 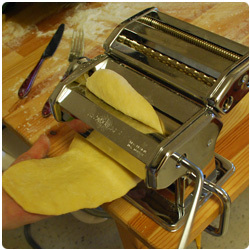 Cut it in the tagliatelle cutter of your machine. 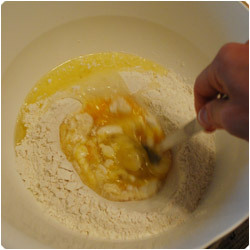 Mix them on the table with more flour. 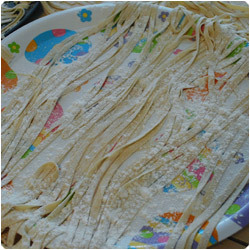 You can leave them to dry on a tray with flour. 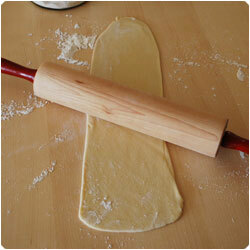 If you don't have a pasta machine: take a piece of dough and make it flat and thin with a rolling pin. 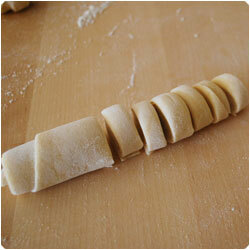 Cut them according with the length you want (25cm / 11inch). 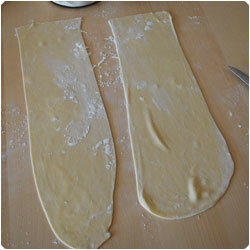 Put extra flour on the pasta sheets and roll them. 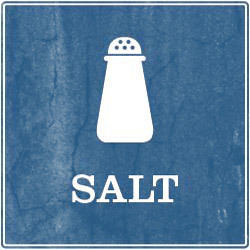 or hanging them. 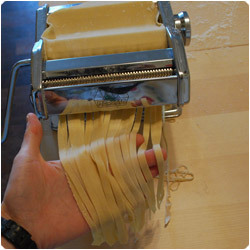 Let the pasta rest for about 30min. 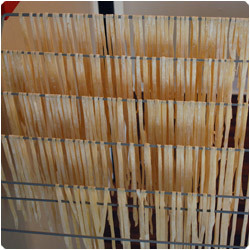 Before they are compleatly dry fold them and place them in a box. 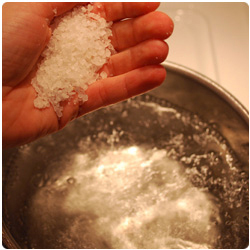 You can freeze them and use it when you like. 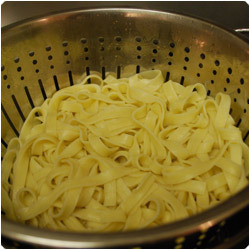 To cook the tagliatelle: boil a pot of water, and add salt. 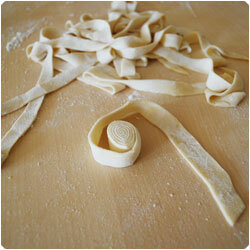 Add the tagliatelle and cook them. 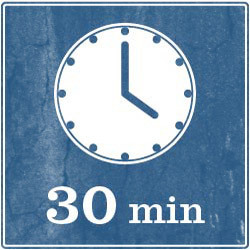 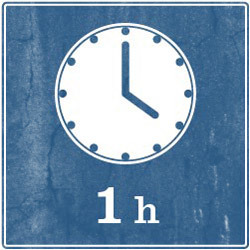 It usually takes 4-5 min. 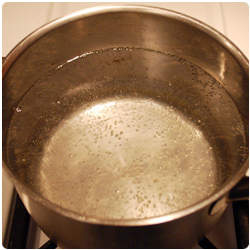 Serve warm with your favourite sauce. 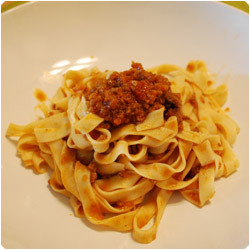 A good option is with ragu, look the recipe here.